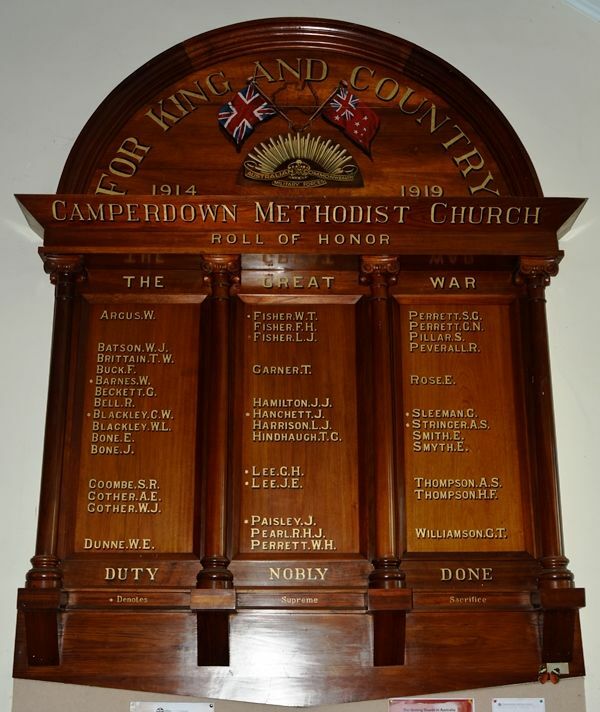 On Sunday evening last at the Camperdown Methodist Church, the unveiling of the Honor Roll to commemorate the noble actions of men identified with the church took place in the presence of a very large congregation. Chaplain Col. E. Nye, who in the early period of the war was for 12 months with the boys in Egypt, performed the ceremony, and was the preacher for the evening. The Honor Board contains the names of 40 members of the church and congregation who have paid the supreme sacrifice. Colac Herald (Vic. ), 18 September 1918.